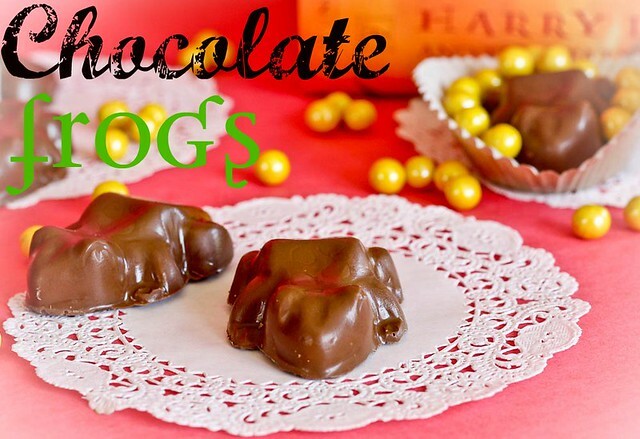 Guest Post: Confessions of a Cookbook Queen Makes Chocolate Frogs! As you know, I’m totally homeless at the moment, and all of my belongings are out there in the great moving unknown, so my kitchen happenings aren’t…well…happening. I’m blessed to have some of the best blogging friends a baker could ask for, though, and they have been gracious enough to help a girl out in her time of need. Over the next month or so, I’ll be sharing guest posts from each of them, and boy-oh-boy, do these ladies know their way around some sugar. For Bakingdom’s very first guest post ever, I have a huge treat for you guys today! I am thrilled to introduce you to Kristan from Confessions of a Cookbook QueenÂ (Kristan is also one half of the girly genius behind That’s What We Said). Kristan’s blog is seriously a sugar heaven, and her creativity is astounding! I mean, have you seen these? Or these? ?Â Plus, she is, without a doubt, one of the funniest people I’ve ever known (Hello?? Ryan Gosling, Food Blogger’s Husband?! Hilarious!). I literally cry with laughter when I read her blog. You’ll love it, too! Thank you, Kristan, for guest posting today! I’m so lucky to have you here! I’m Kristan, the mom and displaced housewife behind the food and humor blog, Confessions of a Cookbook Queen.Â I’m so so excited to be visiting today because I just love everything that Darla does.Â Her food is art, and I always enjoy seeing how she translates Pop Culture into truly awesome desserts. I know Darla loves Dr. Who and Star Trek, but when I think Bakingdom, I think Harry Potter. With that in mind, I decided that some Chocolate Frogs were in order today. I mean, I realize that the Harry Potter series is over, but we have a whole generation of youngies that are going to need educated on all things Hogwarts. And these will be right up their alley. Doesn’t everyone want to eat a chocolate frog from time to time? Well, I wasn’t talking to you, anyways. 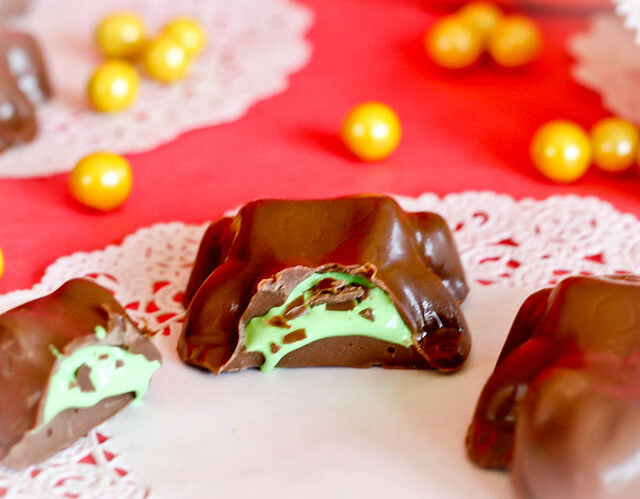 Chocolate with green goo is just a teensy bit cooler. And I thought it added a fun “Froggy” twist. 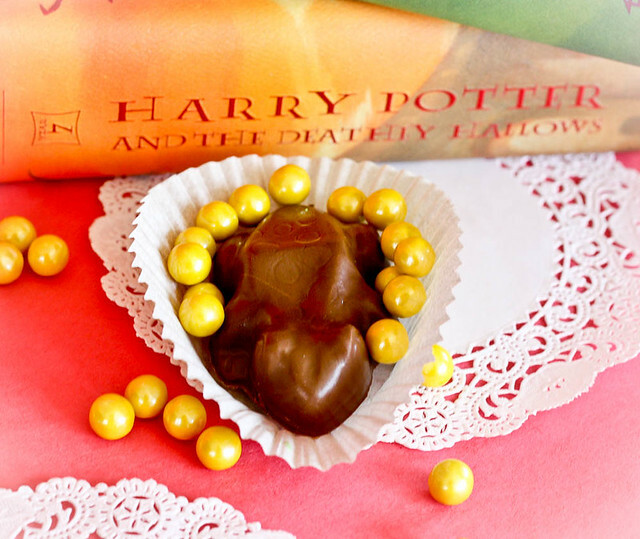 Wanna know how to make your own chocolate frogs? You’ll need a Frog Candy Mold. There are lots of different ones out there, but I really loved THIS one. It’s good sized without being too big. 1. Melt Chocolate according to package directions. 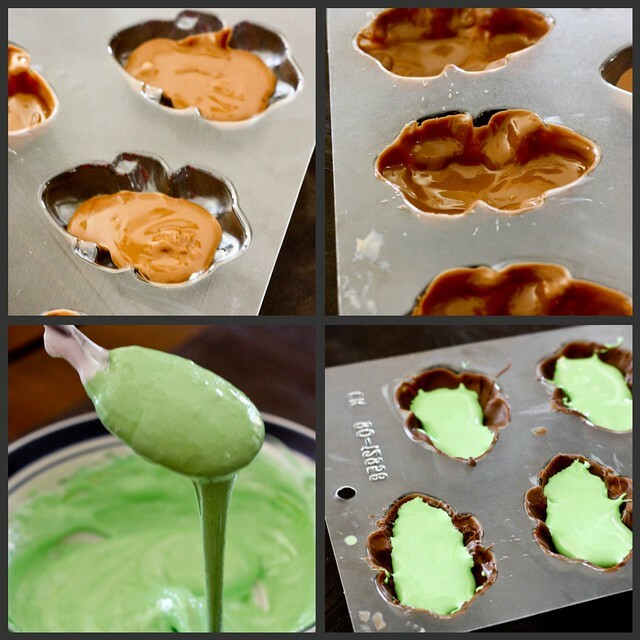 Put a good sized spoonful of melted chocolate in each mold. Using a brush, coat the mold thoroughly and place mold in the freezer for a few minutes. 2. While the mold is in the freezer, put your marshmallow creme in a bowl. Add a few drops of green color and stir until combined. 3. 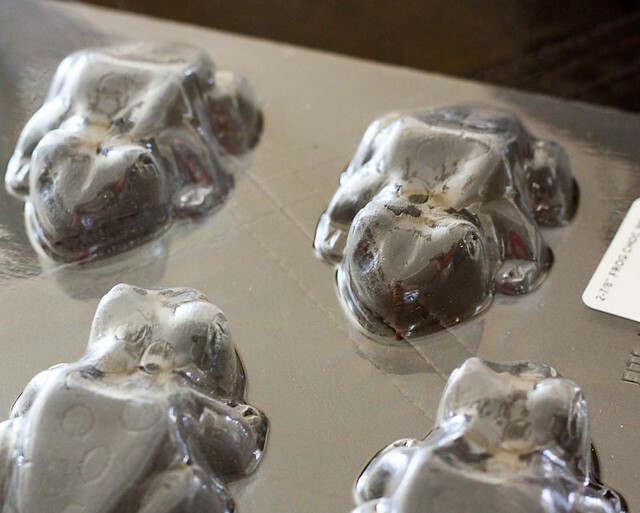 Remove candy mold from freezer and fill molds to just below the top with marshmallow creme. Cover with more melted chocolate and place back in the freezer until firm. 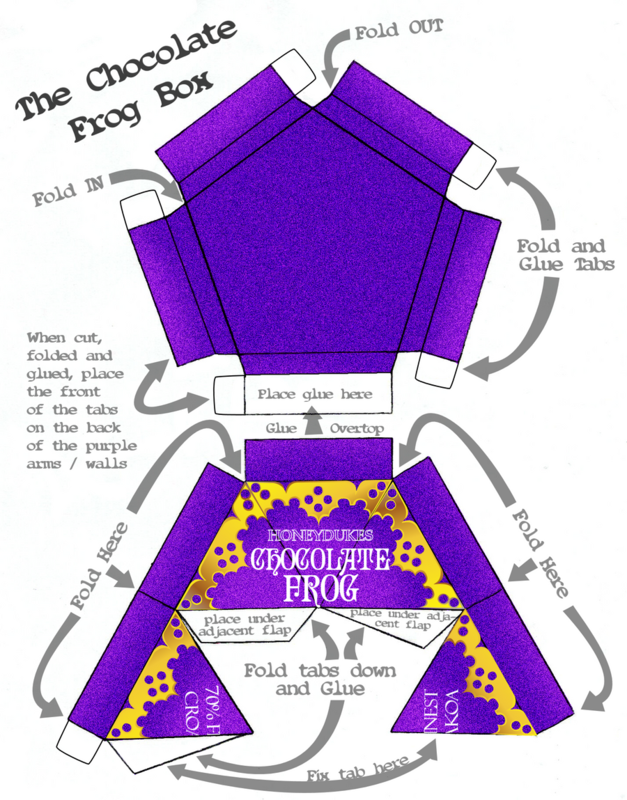 ** A pound of chocolate candy coating and a 7 oz jar of marshmallow creme will make roughly 2 dozen chocolate frogs. Now you have your very own gooey frogs to eat. Which incidentally, is #237 on the list of Things I Never Thought I’d Say But Then I Became A Mom. Thanks so much to Darla for having me today, and I hope to see you over on my blog!! My kiddos would love love love these!! Aww so cute! Cookbook Queen always has such fabulous ideas. Super cute! And tasty too I’m sure. Anything marshmallow = yum. This is so fun! I love seeing those gold sixlets again! 🙂 They are super cute. I can’t stop thinking how hilarious these are! Everyone needs chocolate frogs!! These are great! Looks great. But am just a tidy little bit concerned about the “green food colorer” …How it’s made ? Oh well i can still make it without it right ? White also looks cool. Hi Cindy, You can buy all natural food coloring from companies such as India Tree. I’ve used them in the past, and they work great. This is great! Amen to educating the youngin’s on Harry Potter. These chocolate frogs are so precious! I’m loving the filling. I bet they are MUCH better than the ones you get at Harry Potter World. 😀 Great guest post Kristan! These are really cute. I bet the kiddies love them! Ooo! Love that! I’m going to have to try that out sometime!! wow so cute 😡 its not like harry potter , its my price charming hahas! 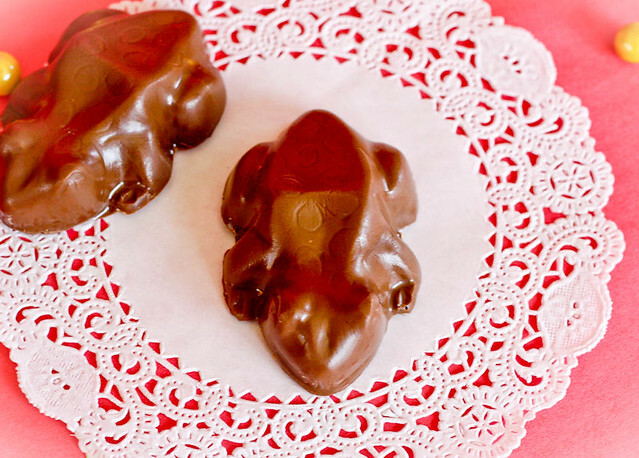 I recently organized a Harry Potter murder mystery party and I was going to make chocolate frogs for it but I didn’t have a mold but if I had seen this beforehand I would have bought one straight away to make these, they are so cool!! This is very creative! I never thought that this kind of creation can be made…This is really mouth-watering! The green slime inside adds to the feeling of actually eating a frog. I do not know why these chocolate frogs are so attractive to me considering that I am terrified of the real thing. I think they are great. Thank you for sharing.